1 Kathy Cirillo, the mother of Cpl. 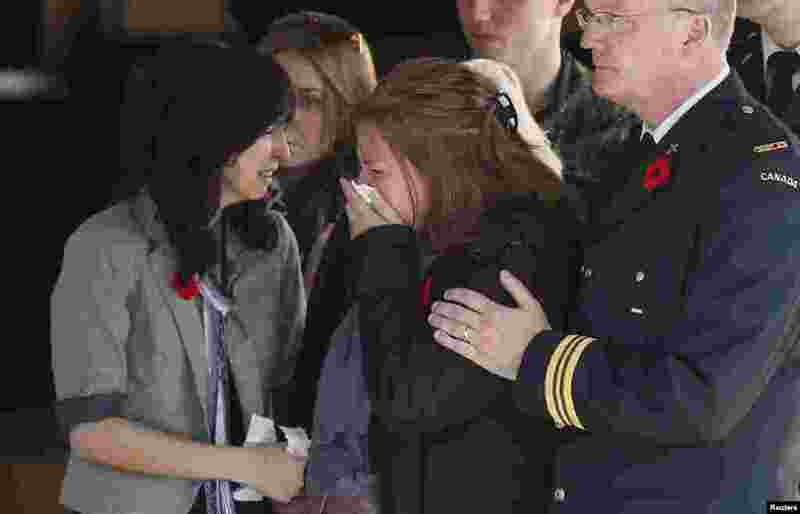 Nathan Cirillo, the serviceman who was killed when a gunman attacked multiple locations in downtown Ottawa, reacts as his casket is placed in a hearse at a funeral home in Ottawa, Canada, Oct. 24, 2014. 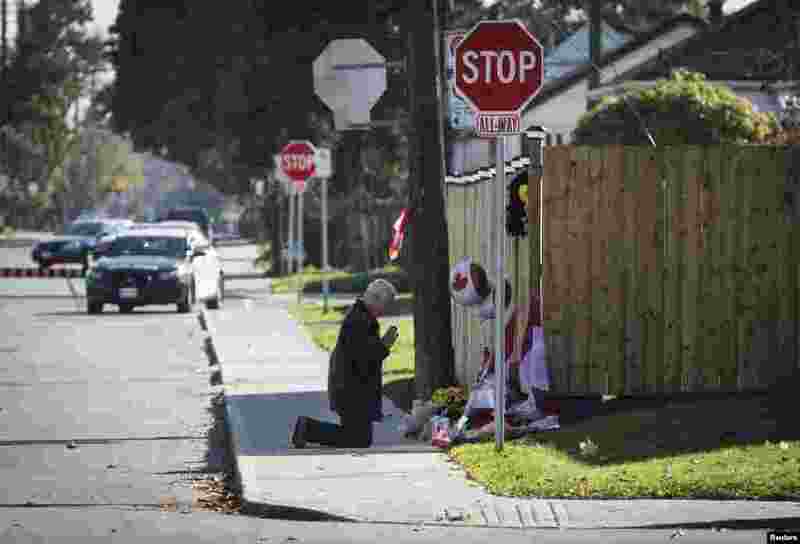 2 Paul Murdock prays at a makeshift memorial in honor of Cpl. Nathan Cirillo, outside the Cirillo family home in Hamilton, Ontario, Canada, Oct. 24, 2014. 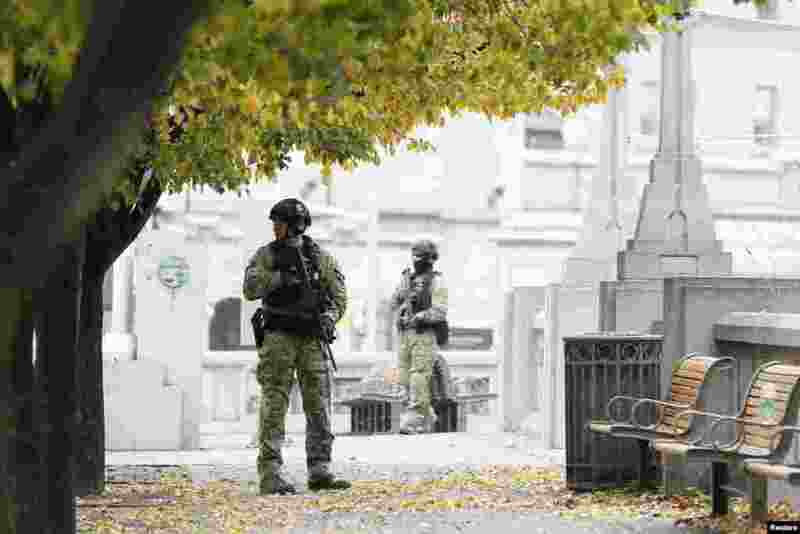 3 Police officers stand guard near the National War Memorial in downtown Ottawa, Oct. 23, 2014. 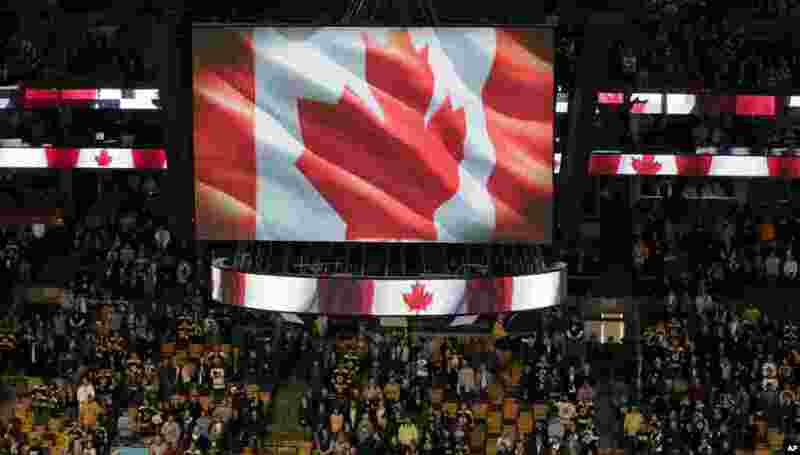 4 Fans stand up for the Canadian national anthem prior to an NHL hockey game between the Boston Bruins and New York Islanders in Boston. The tribute was for Cpl. Nathan Cirillo, 24, who was killed by a gunman who shot him at Canada's National War Memorial in Ottawa, Oct. 23, 2014. 5 People laid flowers at the memorial for Cpl. 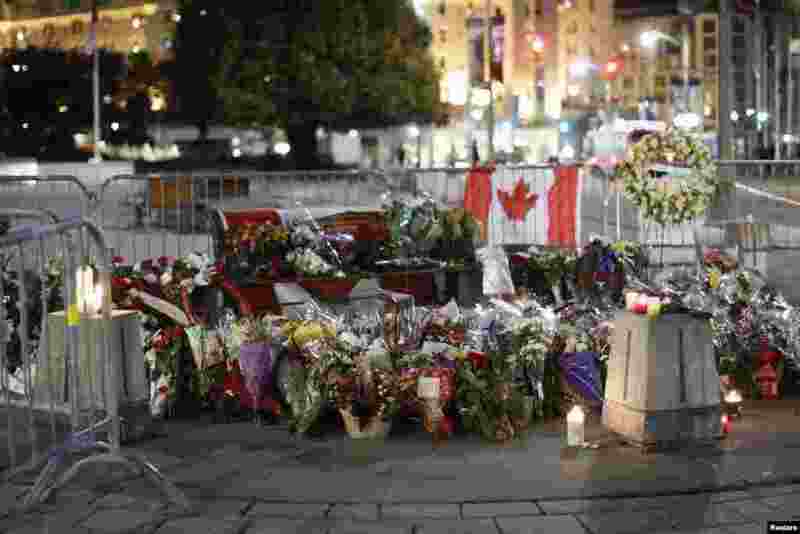 Nathan Cirillo near the National War Memorial in downtown Ottawa, Oct. 23, 2014.